As much as we love writing and discussing choker designs, there is one parallel style of chokers that leashes our world (in a positive manner, of course). When it comes to the dog chokers/collars, there are certain things you need to pay attention to. If you are a proud dog owner who takes the joy of dog ownership way seriously, then these designer dog collars are surely going to make your pooch the star of the park. 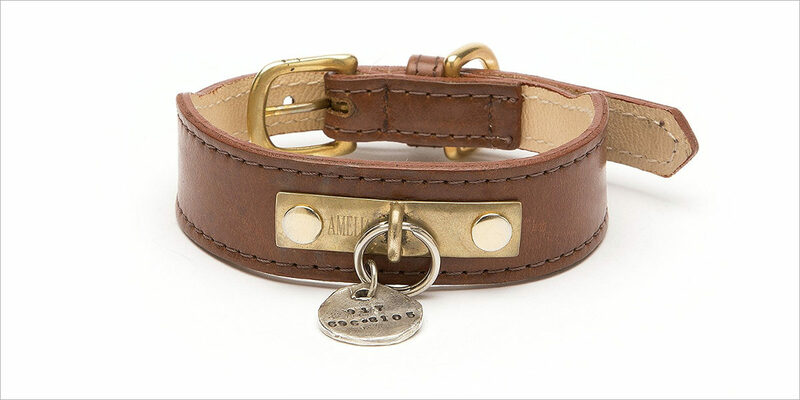 This leather collar features an engraved brass plate and interesting tapered straps. The collar is available in seven different colours and is definitely the best fit if you are looking for a slightly high-end option. Suit up your dog with the perfect bowtie and you can’t possibly go wrong if the collar itself includes one. The bowtie comes with a velcro attached at the back so that you can use the collar with or without it. Be careful, as the material is made of fine material, therefore, can stain easily. Up Country dog collars have the best selection of vibrant and fun dog accessories. 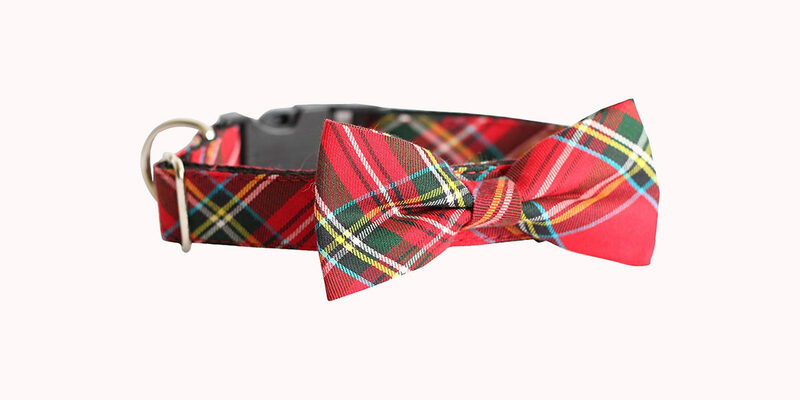 With cute and funky designs ranging from houndstooth to nutty squirrels, the collars are washable and fray resistant. Dress your dog in style every day of the year. Apart from being strong and durable, this handcrafted dog collar by Ruff Wear is water resistant and produced with full-grain cowhide leather. The crux buckle adds on to the classy and elegant design. The collar also comes with a separate ID attachment point. You can easily remove or add ID tags with the quick ring. 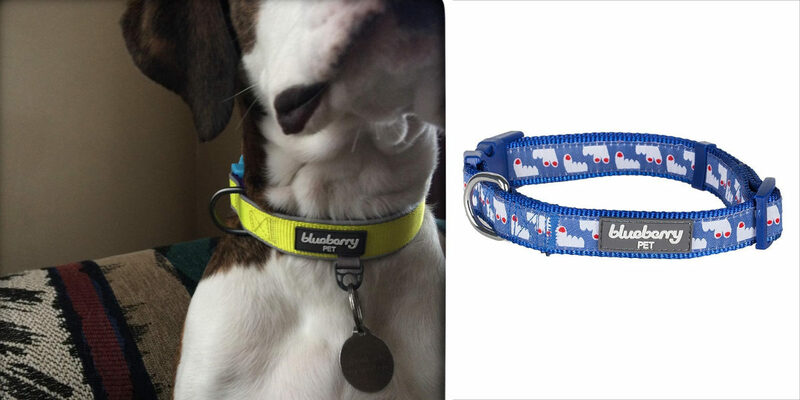 Blueberry Pet collars are made of polyester webbing for maximising your pet’s comfort. The buckles are made of eco-friendly plastic and each collar includes a loop on the logo for attaching charms and tags. The company offers a wide variety of designs to choose the best for your buddy. This attractive two-tone collar is made with soft touch leather. Hand Stitched, the D ring is placed opposite from the buckle, which means it should always remain on top. The collar is available in a few colour options. If you wish to go all the way out, this Italian snakeskin leather collar is studded with Swarovski crystals. The leather ring comes with chrome plated hardware. 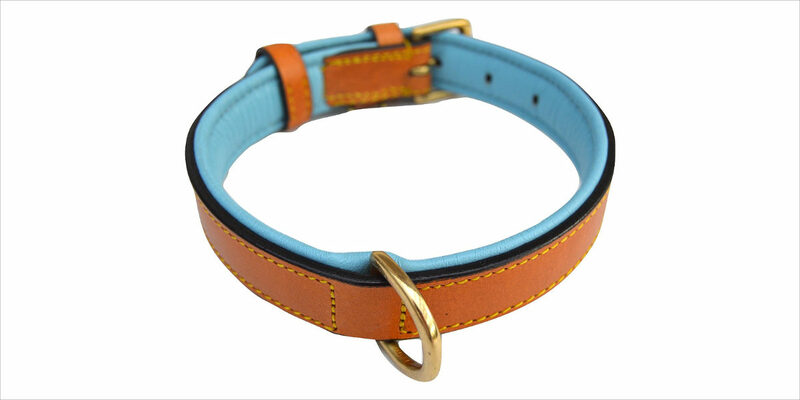 This luxury collar is the perfect and fashionable way to spoil your dog. 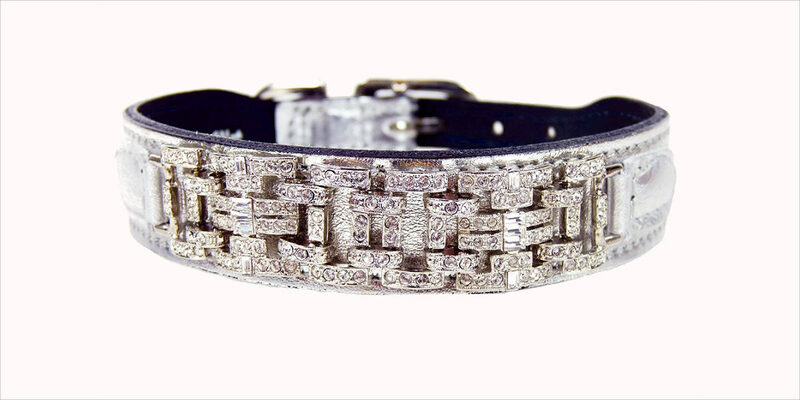 Another luxurious option, this polished nickel finish dog collar comes with studded Swarovski crystals. 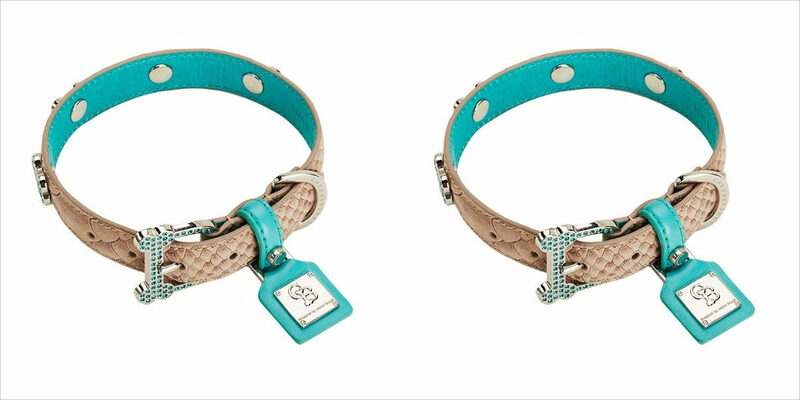 Completely handcrafted and made with 100 percent Italian leather, this collar is the decorative designer piece to pamper your dog. If you are looking for a studded or spiked detailed collar, this electric blue collar is the way to go. The collar comes with strong and durable PU leather that also includes 5 holes for adjustment as per the size of your dog’s neck. 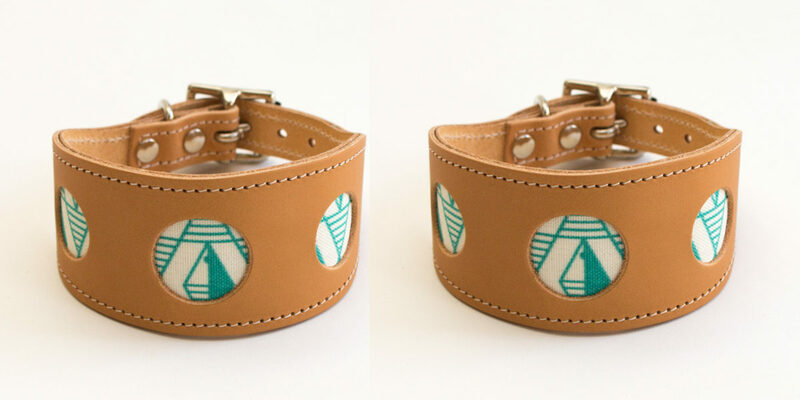 Treat your dog with this geometrically designed collar from Hiro+Wolf. The collar is ideal for Italian Greyhounds, Lurchers, Whippets and Greyhounds. The fishtail design secures the collar and prevents it from slipping from slim heads. Made with clean fabric and embossed leather, the design is unusual and definitely artistic. The collar is designed by Tommaso Bencista Falorni especially for smaller dogs. This luxurious leather dog collar is handmade and combined with gold studs to create a spectacular design and style. 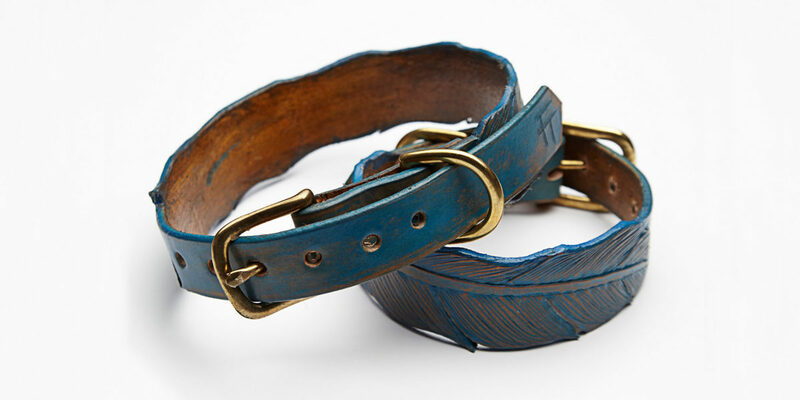 This unique hand tooled leather dog collar comes with a feather design and brass hardware. With a beautiful shade of blue, this collar is one of a kind with its design and pattern. Reflect your mood and glamorous style on your lovely four legged friend with a perfect designer collar.